japanese anime, sailor moon, sailormoon, 20th anniversary, sailor saturn, bandai, plush, toy. PLEASE NOTE BEFORE PURCHASING: THERE IS LIGHT WEAR FROM HANDLING. 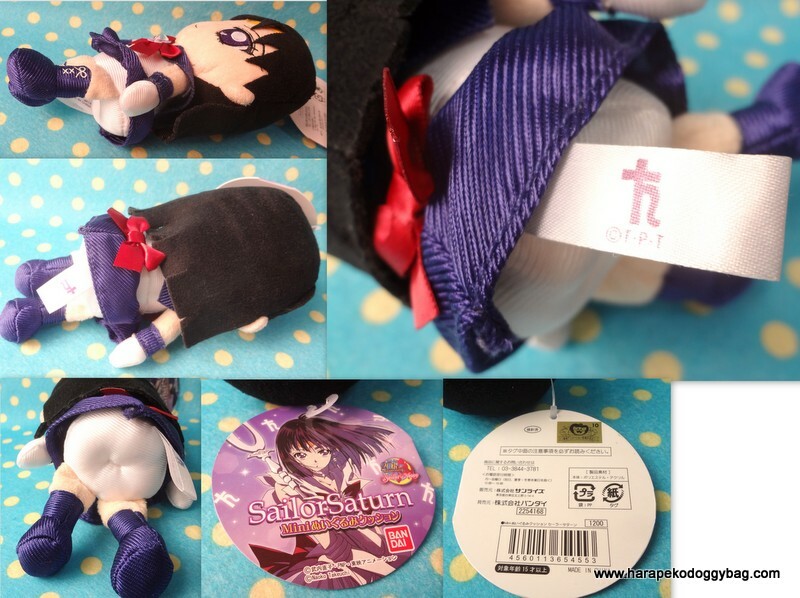 Here is Sailor Saturn from the "Mini Plush Collection" released by Bandai in 2014. The toy is in new and clean condition and has its original tag attached. Keywords: japanese anime, sailor moon, sailormoon, 20th anniversary, sailor saturn, bandai, plush, toy.